Blogging is in fashion right now; and you know, instead of putting up cat pics or a dog on a skateboard video onto their blog, graduates can use blogging in their job search. It is pretty easy to start-up and requires no investment to get you a head start. Blogging while job searching also helps showcase a lot of your skills, whichever field you may be in. In this post I will show you a step-by-step method to blog your way to success with WordPress. This will help you in getting your CV online, building a portfolio of your work, and networking with people in your industry. How Much Will Blogging in Your Job Search Cost? Nothing. Seriously, whatever people may say about investing in your career, blah blah blah…, you can start a blog for free and showcase your CV, portfolio, etc., and impress a potential employer with it. 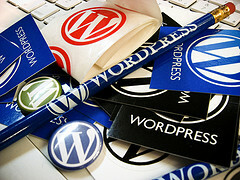 WordPress.com is a good platform to use for blogging. We have slightly modified the ideology behind it and set up to use it in your job search. It is free to start off and if you decide to buy your own custom URL, you can. 1. Go to WordPress.com and sign up for a new account with your email, username, password and a $0 wordpress.com URL. 2. For the URL you can use something like mycv.wordpress.com or any available username. You see the pages ‘options’? That’s the one we will first build your online CV portfolio with. You can chose what to showcase, but here are some Pages I suggest you think of creating. Creating a new page in WordPress is simple. From your Dashboard (as seen in the image above), hover over Pages and then click Add new. Give your Page a Title. For example, I have created About Me page (it just has some random text). You can then add extra information on Work History, Skills, Volunteering, etc. in that page. When you create a new page, you can add your own html code by selecting Text on the top right corner of the text input box. Add images to the page to make it more attractive and also to showcase your skills. You can add an image of you as a profile photo if you like. OK, so all your pages are created. Now we need to create a Menu to organise what your your clients/potential employers would see about you. In your Dashboard, hover over Appearance, and then choose Menus. When you click on Menu, something like the below will appear. Creating and managing your menus is important, follow the link for more information on that. And that is it, you know. See how easy it is to create your online portfolio? Oh, and don’t worry about the design. WordPress.com has many designs you can choose from. For examples of design you can use, visit this site, which is basically a gallery of all wordpress.com themes you can use. Now, I cannot go into explaining in detail how WordPress works. To learn WordPress – actually no, you cannot really learn it. This platform is really very easy and you just have to put a bit of effort into creating your own WordPress blog to understand what it can do for you. It’s free of charge and very simple to use. As always, if you are stuck or need support and answers, you can simply drop me a comment, or email faizan@careergeekblog.com. See, I want to help you; and if you are going to spend £££’s on getting someone to create a blog that you can use in your job search, then think again. That money can be used for better purposes. Oh, and if you want to know more about creating pages, using WordPress, etc., see this WordPress site. Now I create a free wordpress site where i can take care of all above things. And maintain in my resume that I have created a wordpress site. Anyway thanks for this..